A crew from RT's Arabic channel, together with a group of other TV journalists, came under fire from Al-Nusra Front militants near the Syrian city of Daraa. None of RT's staff were hurt in the attack, though two members of a Syrian television crew were injured. “The Al-Nusra Front units have shelled several districts of Daraa, with the facility which hosted not only our channel’s crew, but representatives of other media outlets, also being bombarded. The technical services of the Syrian television were also shelled,” RT correspondent Abutalib Albohaya said. Artillery from Syrian government forces suppressed militant fire shortly after the incident, he added. Daraa is located 90 kilometers south of country’s capital Damascus, near Syria’s border with Jordan. 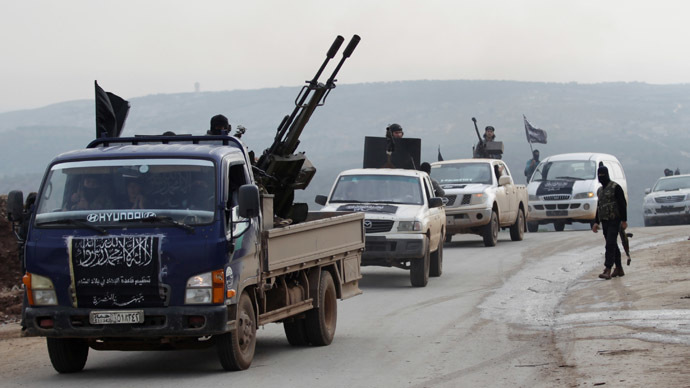 The Al-Nusra Front is an Al-Qaeda branch in Syria, which has played a key role in the hostilities since the civil war broke out in the country back in 2011. The conflict has already led to the deaths of 220,000 people, according to the UN.